YEREVAN. 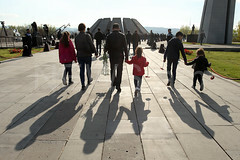 – Alexander Sargsyan, brother of Armenia’s third president, who faces charges of a large-scale fraud has appealed to National Security Service asking to leave the country because of health problems. 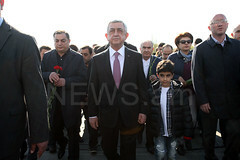 “As decided by an investigator, Sargsyan was allowed leave the country. He has provided a note that will come back at short notice. At the moment there is no need, but if there is, investigators are in touch with his attorneys. I do not think there will be problems. We will call him, when it is needed,” head of NSS Artur Vanetsyan told reporters. Aleksandr Sargsyan is charged with committing particularly large-scale fraud, and a signature bond to not leave Armenia had been selected as a pretrial measure for him. Various criminal cases are being investigated also against Aleksandr Sargsyan’s two sons as well as against Serzh Sargsyan’s other brother, Levon Sargsyan and his children. As reported earlier, by decision of the NSS, Aleksandr Sargsyan’s property was seized in July 2018.